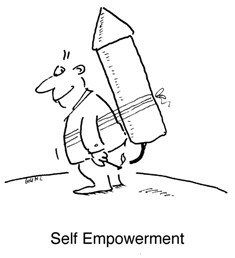 An empowered person is one who has control of the decisions which impact his/her life. The same applies to a group. Empowering marginalized people is merely working towards helping them gain the kind of control over their lives that the rest of us enjoy. To get it, they have to do it for themselves - albeit with external help for a while.